Welcome back! This is Part 2 of this blog series. If you missed Part 1: Taking Inventory you’ll want to start there. Don’t worry we’ll wait for you… Caught up? Have your list? Great! In this post we’re talking about social identity and five action items that will help unify your social networks. 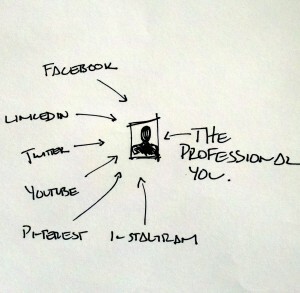 The power of networking on social media is the ability to connect with individuals professionally, but also provide a unique look at your personality. The goal of these five action items is to get you thinking about how you’re presenting yourself. Yes, you may have strict privacy settings, but understand that employers can potentially find anything you share on social media. Be responsible when sharing; know the difference between sharing your personality and being unprofessional. 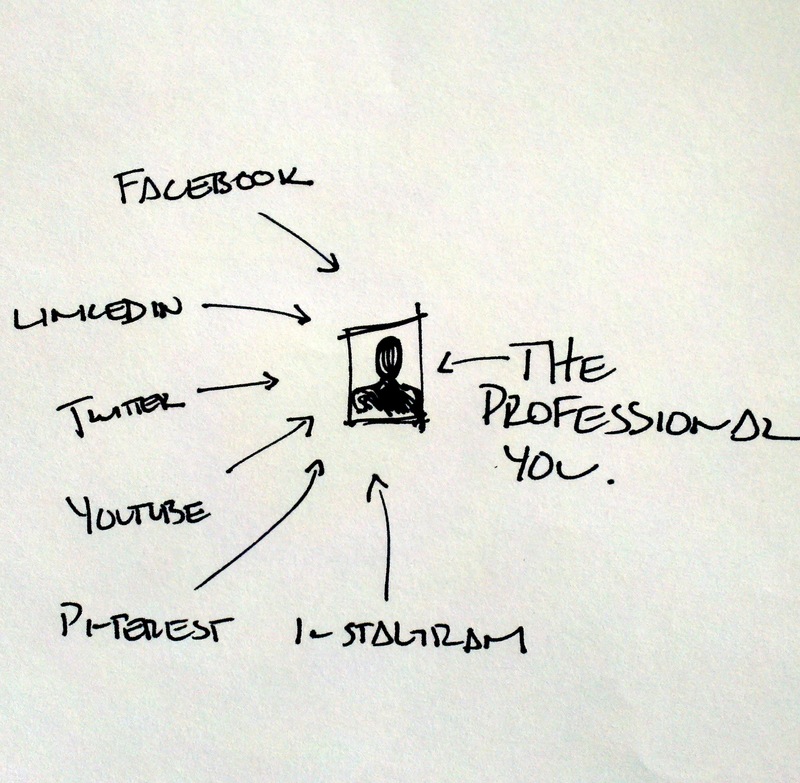 Start with a professional profile image. A simple headshot of your smiling is perfect. I suggest using the same image across all your social networks. This will help individuals quickly identify and connect with you. Use the same name with all your social accounts. The goal is to help people identify and connect with you quickly and easily. A consistent photo and name is the first step. Make sure your bio mentions your skills, interests and most importantly that you’re looking for a job. People are not mind readers. Have embarrassing photos or messages on your current social networks? Take a moment, a day, a week, to go back and delete content that an employer may question as inappropriate or might disqualify you from a job opportunity. Deleting content doesn’t mean it’s gone forever (see #1) but it’s best to be proactive. Now there is one social network where this might be impossible. Facebook, which brings us to point four. I know I just told you that everything on social media is public, but social networks do have some privacy settings. Become a master at privacy settings. I would suggest you start with Facebook and lock down your Timeline. It’s also important to understand which of your social networks talk to each other. Social networks today make it easy to share across multiple networks. It’s a great feature, but it also means that photos you share on Twitter from Instagram can easily show up on your LinkedIn stream. Does your recent professional connection on LinkedIn really need to see your weekend at Bonnaroo? Nope didn’t think so. Wait another fun example. Does your LinkedIn connections need to track your check-ins from your brother’s bachelor party? Nope didn’t think so either. After you’ve gotten a handle on one through four, take some time to do a little recon and listen to your industry on different social networks. What are they talking about? How are they connecting with each other? All of this will come into play as we move forward. BONUS: Sign up for a free LinkedIn account. You’ll need it for our next post. Networking on social media takes time and it’s important to understand these foundational elements before we start reaching out and building connections with others. If you have any questions don’t hesitate to leave them in the comments below. You can also find me on Twitter. I’m at @dougridley and tweet for Vital Design at @Vital_Design.